Jeffrey Reynolds is the Managing Attorney in our Marina del Rey office. Mr. Reynolds graduated with a Bachelor’s Degree from New York University. He earned his Juris Doctor from Loyola Law School in 1997. 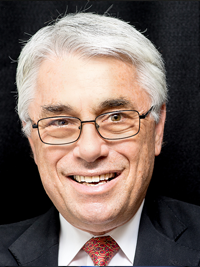 While obtaining his legal education, he served as staff writer, technical editor and executive board member of the Loyola of Los Angeles International and Comparative Law Journal. By utilizing his varied talents, Mr. Reynolds has become well-versed in handling all aspects of complex litigation and has practiced in areas as diverse as copyright infringement disputes and software licensing. He has a published Court of Appeal opinion in Stevens v. Superior Court (75 Cal.App.4th 594). He has specialized in Workers’ Compensation for the past 15 years. Concurrently, he has handled subrogation matters in civil court for Workers’ Compensation carriers seeking reimbursement in third party cases. 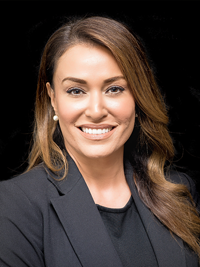 Mitra Karimi has been practicing Workers’ Compensation and Labor and Employment Defense for the past 10 years representing employers, insurance companies, self-insured entities, and uninsured employers in all litigation matters before the Workers’ Compensation Appeals Board (WCAB). 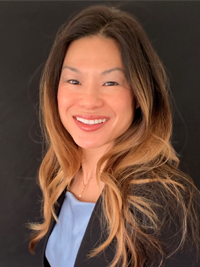 After completing her Undergraduate Studies at University of California of Irvine, Ms. Karimi obtained her Juris Doctor degree from Abraham Lincoln School of Law in 2005. Ms. Karimi completed her internship at the District Attorney’s office in Ventura County and also worked for several renowned Civil Litigation Defense firms in Los Angeles. She is an attorney at our Marina Del Rey office. Alicia Valencia received her Bachelor of Arts degree from the University of Santa Barbara in 2006. She subsequently earned her Juris Doctor degree from the University of San Francisco School of Law in 2011. 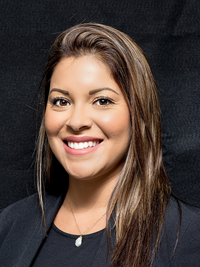 During law school, Alicia clerked for a Workers’ Compensation defense firm and subsequently went on to practice law in the field of Workers’ Compensation defense upon graduating and becoming an attorney. Alicia currently handles all aspects of Workers’ Compensation Litigation defense as an attorney in our Marina del Rey office. Nedrudee Liu joined our firm in November 2018. She graduated from UCLA with Bachelor of Arts degrees in Political Science and Asian American Studies. She then went to Loyola Law School , where she earned her Juris Doctor. Ms. Liu has practiced in the field of Workers’ Compensation for over 15 years, zealously representing insurance carriers, employers and government entities in all aspects of litigation including Labor Code Section 132(a), and Serious & Willful claims. Ms. Liu is a State Bar Certified Workers’ Compensation Specialist. Prior to focusing her practice in Workers’ Compensation, Ms. Liu practiced for several years at a Civil Litigation firm.